A community transformed by thriving families in sustainable homes. One of our education program workshops was recently visited by reporter Mark Wedel of Second Wave – Southwest Michigan. 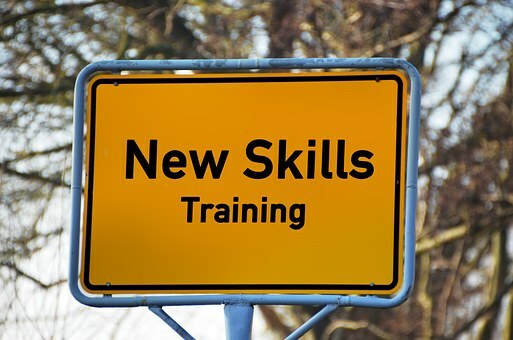 He saw first hand how workshops provide opportunities to practice new skills. In his interview of our Education Manager Jason Byler, he also captured the essence of how empowering our education program is. Our thanks to Mr. Wedel for spotlighting our good work and some of our participants. Click here to read the great story! Thanks to Public Media Network for this video feature. Check out this community spotlight, and hear about what we do. Would you be an ambassador and help us get the word out? 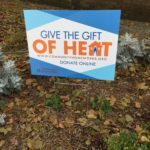 Here are three ways that we are promoting this giving season. Please choose one, and we will provide the supplies. 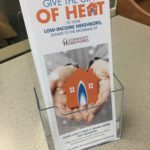 So that we can provide the promotional materials you choose, call our office at 269-998-3275, or email Todd at tholm@communityhomeworks.org. Thank you for being an ambassador of Community Homeworks! We appreciate your support. This offer is good through December 20, 2017. Yard sign: Place in your front yard or in front of your business. We will drop off and pick up. Tabletop Brochure: This handy display will hold brochures that your customers can take with them. Poster: Do you have a bulletin board at work? Your place of business? Here is a poster for you. You can download the poster here. For the yard sign, please note: per city ordinance, such signage “shall not be placed in and shall not project into the public right-of-way”. Holiday shopping is easy with Amazon’s Holiday Gift Guides. Shop at smile.amazon.com, and Amazon donates to Community Homeworks. Find great gifts for everyone on your list! AmazonSmile is a simple and automatic way for you to support Community Homeworks every time you shop, at no cost to you. 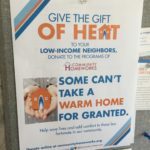 You’ll find the exact same low prices, vast selection and convenient shopping experience as Amazon.com, with the bonus that Amazon will donate a portion of the purchase price to Community Homeworks. Community Homeworks is seeking licensed and insured electricians, plumbers HVAC, roofer and general subcontractors who are interested in contract work in bidding on home rehabilitation and repair projects for up to 80 homes during the 2017 calendar year. Interested companies should contact us to be vetted and placed on our Approved Contractors list. Approved Contractors MUST also attend a one hour Pre-Construction Training at the City of Kalamazoo on 1/09/17 or 1/11/17 to be eligible to receive contracts. If interested, please contact Shaun Wright. Deadline: submissions will be accepted through 1/6/17. Community Homeworks is a HUD Sec 3, EO organization. Minority owned and small businesses are encouraged to submit. Click here for this issue of news and financials. Offering free home repair & garden supplies to income-qualified residents! Community Homeworks will host a Home Repair & Garden Supplies Free Sale for low-income residents of Kalamazoo County. Those who come to the Free Sale will be asked to sign a self-certification waiver stating that their household meets the intent of Community Homeworks’ mission and vision, and that the materials will be used for that purpose. Although everything is completely free, attendees will need to go through a “check-out” to ensure inventory records can be updated. CHW also reserves the right to limit per-person quantities of merchandise in order to have the greatest impact within the community. CHW receives generous donations of merchandise from its corporate partners, Education Manager Kevin Dodd explains. Come find YOUR free home items! © 2014 Community Homeworks All rights reserved.